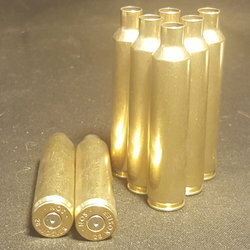 Home :: RELOADING BRASS :: RIFLE BRASS :: .28 NOSLER 25 ct.
SKU .28 NOSLER 25 ct.
you are asking $30.00 for 25 pieces of 270 wsm brass, and offered me 25 cents a piece for my new, never shot brass. HOW CAN YOU BE SO GENEROUS !!!!! "FANTASTIC" NOT ONLY DID THEY SHIP FAST, BUT ANSWERED ANY QUESTION PROMPLY. AND I MEAN WITHIN MINUTES. I WILL NOT HESITATE TO DO BUSINESS WITH DKB. I WILL RECOMMEND TO ALL, BEST IN TOWN.